Seborrhoeic dermatitis is an inflammatory dermatitis that occurs on areas of skin where sebaceous (oil) glands are present and most prevalent. 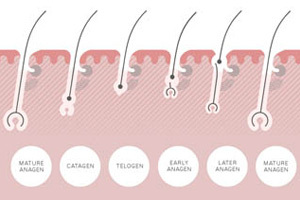 It is primarily confined to the front area of scalp, below the forehead, behind the ears and the nape of the neck, as well as random patches over the scalp and even the eyebrows, nose area and centre of the chest. With seborrhoeic dermatitis the skin becomes inflamed with large flakes covering a reddened area of the scalp. These flakings or scalings are usually, but not always, accompanied by itching. with heavy scales surprisingly often causing less itching and scratching than milder, lighter types. Many people believe that flakes resulting from seborrhoeic dermatitis are dry, and so rub in oil to remove them. However, the flakes are in fact greasy and rubbing in oil will simply make them more adherent and oily, alongside making the hair feel and look lanker. Seborrhoeic dermatitis tends to run in families. However, fluctuations in the severity of flaking occur with stress, menstruation, hormonal fluctuations, illness, certain foods and sometimes the type of shampoo used. Seborrhoeic dermatitis can look very similar to other skin conditions, such as psoriasis, and they can sometimes occur at the same time. It’s important you see your GP or Trichologist for a proper and correct diagnosis so that you can be prescribed the correct treatment. Treatments usually involve creams or masks containing sulphur and/or salicylic acid. 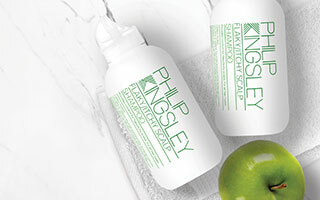 At the Philip Kingsley Clinics in London and New York we provide treatment for seborrhoeic dermatitis using hand-made products specifically formulated for your individual hair and scalp needs.